The featured posts will return next week! I’m so excited to partner with Charity from The Homegrown Family, as well as a few other bloggers, to bring you this awesome giveaway!!! 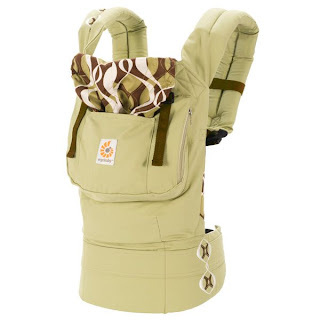 I’ve owned many baby carriers over the years and the Ergo carrier is one of my favorites! I especially like that I can carry my children, even my strapping toddler, on my back, in front, or my hip comfortably. I can work hands-free while still mothering and keeping my little ones safely nearby. When I’m out shopping, I can tuck them into the Ergo, where they can comfortably sleep next to mama’s heartbeat. And on windy days, I can fasten the head cover to protect their delicate skin. Not only does The Homegrown Family offer this fabulous product, but they also offer awesome kitchen tools, such as The Wondermill Grain Mill (a favorite of mine), Bosch Mixers, and the Excalibur Dehydrator (another favorite). She even carries high quality coconut oil! Brian and Charity, parents of twelve kids (nine at home), live in the beautiful mountains near Yosemite National Park. Brian is self-employed and works with his sons. Moving from the corporate world (GE Capital and Wells Fargo Home Mortgage) to self-employment, he embraced the vision of discipleship at home, working, homeschooling and serving with his family. Charity has a passion for directing people to love Jesus MORE, and see families grow in freedom as they raise their family to serve the Lord. Together, along with their children (ages one to twenty-three), in the last two years, our family has served in teams that have shared the Gospel of Jesus in the Philippines to over 45,000 people, starting 104 Bible Studies and planting 24 churches. So, enter below and visit The Homegrown Family. Due to shipping restrictions, this giveaway is only available to our US friends. And onto this week’s link-up, please join me and share your tips and ideas on creating culture in your home. Topics may include homemaking, homeschooling, natural living, personal wellness, family-life, attachment parenting, working with or parenting children with “special needs,” etc. 1) Please post a hyperlink in your post or a link-up button on your post or sidebar and link back here so others can find us and participate. Thank you for hosting and sharing about the ergo carrier. That sounds great as I have a fussy two month old twin right now.